Healthcare concerns generate huge debates every year in America. Every year trillions of dollars are spent from public and private funding, yet millions of Americans still do not have access to affordable healthcare products. We want to talk about the GetHealthyDeals story. 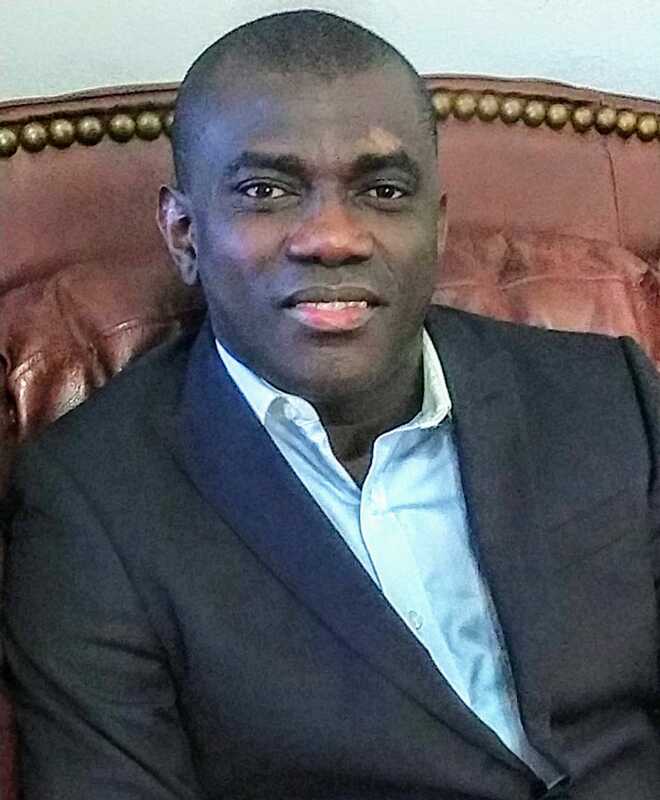 A lot of people would want to know how the journey started, mission, vision, and how you intend to transform the healthcare industry in the US, but first who is Dr. Babajide Sadiq? Babajide Sadiq is my full name, but friends just call me ‘Jide’. I am a public health professional born in Lagos Sate, Nigeria. I have a Master’s degree in Public Health from Florida State University and a Doctoral degree in Public Health from Florida A&M University. After serving 15 years in different areas of public health, I founded and am now CEO of GetHealthyDeals.com, America’s premier healthcare price comparison website. Before you tell us about your whole journey that got you to GetHealthyDeals, tell us a little bit more about what GetHealthyDeals.com does. GetHealthyDeals is the first, number one, and only Healthcare and Beauty Price Comparison Website in America. GetHealthyDeals.com intends to disrupt the $5 Trillion dollar health and beauty industry in the US by transforming the way healthcare is delivered to millions of Americans. Our mission is to help Americans have access to quality healthcare at affordable prices. Our vision is to be the number one and the largest one-stop shop for people looking for quality in affordable healthcare and beauty products and services. What a big dream! You sound very confident. Yeah, it is a big dream, our team is really working hard everyday to make it a reality. How did the journey to GetHealthyDeals start? The journey started around November 2017, it was both situational and a passion of mine. The situation I faced was that a friend of mine who is diabetic had just lost his job and was looking for ways he can continue to afford his medication. Knowing that I had years of experience in public health, he contacted me to inquire if I know of ways or some websites/ to get affordable health insurance for his medication. To save my dear friend’s life, I surfed the web for hours going from one site to another opening different tabs on my computer, which is really time consuming. Immediately I started thinking, why not not have a one-stop shop for all health and beauty care just like kayak.com for travelers; Kayak is a website that compares prices and deals in one place which makes comparison easier while saving time, money, and energy. Realizing that there is no website like this in America, I placed a call to my brother and after a 30-minute phone conversation discussing the idea, he sent $2,000 cash to my account. I took this as a challenge, like someone placing a bet on me. Since I am not a developer and have no idea of how the simplest website is created, my first task was to look for web developers. After one week of googling and surfing the web I eventually found one through Upwork. The developer and I spoke for days to understand the scope of the project, and after realizing the complexity and the time required to build the website, he gave me a budget that is way over my entire savings (laugh). After seeing this budget, I told him that I would get back to him but I know within me, I can't afford that kind of money. For weeks, I was down but my instinct keep telling me that I can achieve my dream – but how, I don't know. In January 2018, I went back to re-post my project again on Upwork and after just 2 hours of re-posting, a developer contacted me from India and we scheduled a Skype meeting within a week's time. During our meeting he said, and I quote "I don't want to disappoint you, this is a great idea, I will introduce you to someone who is more experienced than I am". Days later, someone buzzed me and introduced himself as Sajid, saying that he got my contact from the previous developer and that he will be the one that will be helping me to develop my website. We discussed the scope of the project and scheduled another day for him to give me a budget he could work with. As usual, he gave me a budget that I cannot afford (laugh), but this time I was determined to not give up. I struck a deal with him that I will pay him part of the money and the other part will go to him having some stake in the business. He agreed immediately. With the $2,000 gift from my brother and after emptying my balance in all 5 of my credit cards and few savings from my meager salary (which I am still using to-date to fund the improvements and maintenance of the website), GetHealthyDeals.com was born. The Healthcare Industry in America is very big. Yeah, very big. It’s huge! We are talking about an industry accounting for over 17% of the total GDP of the American economy, which is around $3.5 Trillion dollars and growing at a rate of about 4.6 % yearly. If you total other services provided on our website such beauty, personal care, and healthcare advertisements, you are looking at around $4.5 to $5 Trillion dollars of investment. Yet, almost 1 in 2 Americans can’t afford prescription drugs or healthcare services with their health insurance – and 1 in 5 don’t even have health insurance. So people really do need GetHealthyDeals, even those that don’t know about it yet. How does Gethealthydeals intend to solve these problems and what is your competitive advantage? Great question. Gethealthydeals.com provides people a single-source portal where they can compare the relative costs of solutions from different providers so they can make safe, informed decisions about how their scant healthcare funds may best be spent. Through our price comparison tool engine we aggregate prices and deals for millions of healthcare products and services such as prescription drugs, health insurance, and various beauty products and services from thousands of businesses, and that’s what we show to our users. Right now, we are the only one offering this kind of service in America, even in the world. Like I said before, GetHealthyDeals is out to transform the way healthcare is delivered to millions of Americans. Sound like a very lofty project. Where are you with it right now? Price Comparison Tool – a price aggregator that compares prices from thousands of retail websites with millions of healthcare products and services. Geolocation Tool – that helps users locate nearby health and beauty services such as clinics, hospitals, gyms, spas, nursing homes etc. News Blog – for accurate science reporting from our own in-house health news team. Just recently, we launched our first campaign to raise funds from investors in order for us to increase our resources. With only two full-time staffs, we will need to add more staff, improve and enhance our website and app, and increase our market capacity to reach more people. Wow, with such limited resources, you were able to achieve this in a short period of time..
Yeah, thanks to my developer for trusting me and believing in my dreams. As Yoko Ono once said “A dream you dream alone is only a dream. A dream you dream together is reality." I’m not a famous person, but this is my Dream, and together, it’s achievable. We now have 5,000 visitors with no money spent on marketing, just social media, word of mouth, tools like Whatsapp etc. This places the value of the website and app at over $5 million. I base this on solid research from different studies showing that an average American spends at least $400 on health, personal care, and beauty products per month. That means that with an average of 1,500 visits on the website per month X $400 spent, that shows a potential of $600,000 per month – and for a year, that would be $600,000 X 12, which would be $7,200,000. Our goal is to hit 100,000 users in the next 6 months, which will give us a valuation of about $100,000,000 million, or $1,000 per user. Looking at these numbers, it seems like a laudable project. What if an investor came today and offered you some money to buy you out? Hmmn, I have never thought about that, my main focus right now is building a system that will help millions of Americans have access to quality healthcare that is affordable and accessible. It is hard to put a value to one’s passion, I can’t really put a number out there right now. Well hundreds of millions of dollars is not a bad idea you know (laugh). Where do you see GetHealthyDeals in the future – I mean one year, five years? Thank you, That’s a very good question. In fact, my GetHealthyDeals plans are boldly written on my board in my room right now, I go to sleep and wake up with it every day. We always use it to help guide ourselves in every decision we make and every step we take. In two years, we intend to cover between 10 to 20% of the serviceable market of about $3 trillion dollars and attracted more than over 20% new users of healthcare. the biggest online store for health and beauty care products and services in terms of revenue generated. Thank you for the interview and we wish you all the best. Thanks, the next time I will be sitting down with you, GetHealthyDeals will be among the Fortune 500 companies.